Where is the humanity in our welfare system? 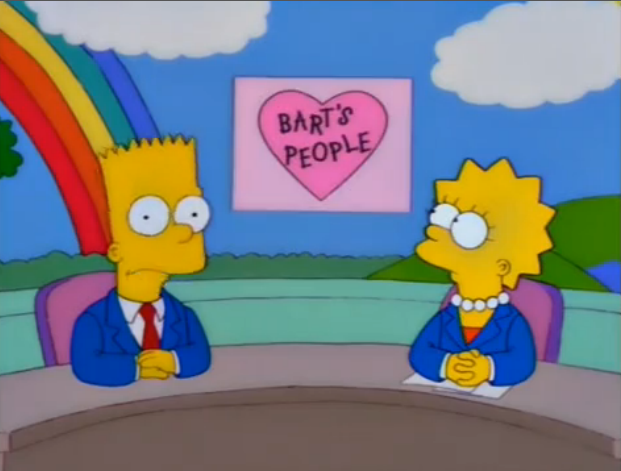 “Where is the humanity?” asked Bart Simpson, one-time presenter of his own news programme Bart’s People – a show that spoke from the heart about the trials and tribulations experienced by ordinary people in his home town of Springfield. After waiting four years for the Labour opposition and the Liberal Democrats to pose a similar question to our Conservative governors about their oppressive welfare policies, Britain has just found its most unlikely of Bart Simpson impersonators – the Archbishop Vincent Nichols. Tory austerity and opposition inactivity has meant that the role of official opposition has fallen to those outside of the inner political ring. The former Canon of St. Paul’s Giles Fraser has been a vocal critic of austerity and his voice has now been bolstered by a colleague from across the Christian pond. Vincent Nichols, the archbishop of Westminster, this week slammed the government’s welfare reforms as “punitive” and “heart-breaking”, stating that “something is going seriously wrong when, in a country as affluent as ours, people are left in [a] destitute situation and depend solely on the hand-outs of the charity of food banks”. Because without that our welfare state might as well be consigned to the scrap heap. When William Beveridge set out his goals for the welfare state he, probably unwittingly, employed a classic piece of political framing. He boldly declared that his intention was to slay the “Five Evils of Society”. He gave his policy a purpose. When I hear certain politicians from Labour, the Conservatives and Liberal Democrats speak; they fail on every occasion to echo the same (or any) vision for society that Beveridge held. The Conservatives want to cut people adrift. Some Labour and the Liberal Democrat MP’s want to pretend that they are as macho on welfare as their Tory peers. The only rhetoric we hear is the tired austerity fable but now we’ve heard from the horse’s mouth that “money is no object” we know that by cutting spending on those who are most in need this government isn’t interested in balancing the books – it’s just being callous, cruel and vindictive. Much to Lisa Simpson’s dismay, her brother’s emotional news-casting proved a hit with TV viewers in Springfield. Those of us who oppose this government’s attack on welfare could learn from Bart’s and the Archbishops’ school of political story-telling. The UK is now one of the most unequal countries in the developed world and yet our media and politicians expend an inordinate amount of energy worrying about the piddling amount that some of the poorest people receive in benefits – money that helps them put food on the table and buy clothes for their children. This is not a debate we should be having. Instead, we need to renew our vision for welfare and take a leaf out of Beveridge’s (albeit extremely lengthy) book and reassess why it was that we ever created a welfare system in the first place. That vision has not been forthcoming from our political “elites” but it has from campaigners, charities and the church. For me personally it is why I am an activist and supporter of the Green Party. Written into our vision is the goal of creating a “compassionate, empowering and effective welfare support for all.” We believe in achieving this through the Living Wage and an unconditional citizen’s income to cover everyone’ basic needs. The means and the money is there to create such a fair and more equal society. Using the messages and language of Messrs Simpson and Nichols can help us build the political willpower to make such a society a reality. This entry was posted in National News and tagged Bart’s People, Iain Duncan Smith, Matt Hawkins, the archbishop of Westminster, The former Canon of St. Paul’s Giles Fraser, Vincent Nichols, Where is the humanity? by tamesidegreens. Bookmark the permalink.